Mount Olive Lutheran Church / Pr. Ted A. Giese / Sunday January 27th 2019: Season of Epiphany / Luke 4:16–30 "Rejection"
Grace peace and mercy to you from God our Father and from our Lord and Saviour Jesus Christ. Good Christian Friends. Lots of people have to deal with rejection. Writers get rejection letters all the time from publishing companies. 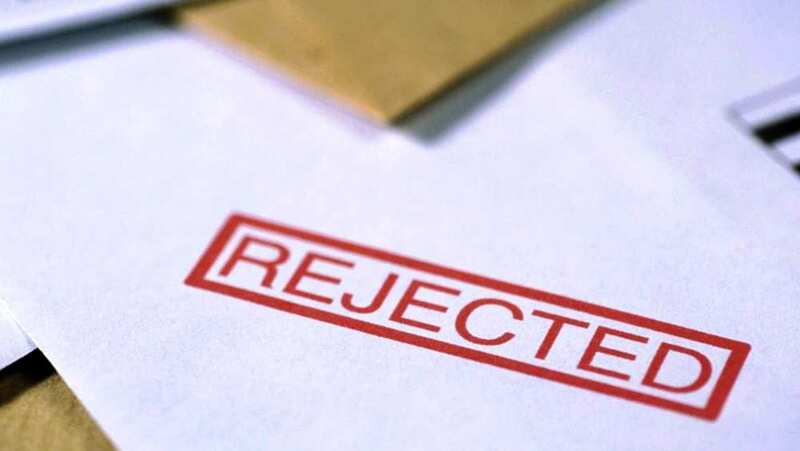 Job applicants put in their applications and receive rejection after rejection after rejection before finding a job – or they simply never hear a word from the company they applied to, which is also a rejection. Employees in line for a promotion at work are passed over, again rejection. Then there’s rejection in love, there’s unrequited love, there’s the “friendzone,” or there are couples where the pain is even worse where they are living together and the one wants to get married but the other doesn’t, they may even have children together and they may put on a brave face but the lack of commitment there is a rejection too, just as much as a divorce for illegitimate reasons is a rejection of the wedding vows made in love. If you think about it a bit you will likely remember at least one time when a rejection hurt you deeply. Then again most people just put rejection out of their mind and continue to strive on. In fact this is a key to success in many instances, overcoming rejection and carrying on often paves the way forward. It’s the dwelling on rejection or wallowing in it that can hinder and harm a person. Yet rejection is a rather common thing, we all deal with it to some extent, but surly the perfect son of God, Jesus, the Christ didn’t have to deal with rejection? In our Gospel lesson today we hear of a time when Jesus was rejected by people who you’d think would have embraced Him. If you pop over to the Gospel of St. Mark to hear the account detailed there you’ll find that it says that Jesus “could do no mighty work there, except that He laid His hands on a few sick people and healed them.” Mark tells us that Jesus “marveled because of their unbelief [there in Nazareth].” In today’s reading from the Gospel of St. Luke Jesus basically says God works His miracles where and when He wills it for His purposes and that God isn’t one to dance just because you play the tune. Jesus gives a couple of Old Testament examples of the selective and purposeful nature of God’s miraculous works ending it off by saying, “there were many lepers [people with leprosy] in Israel in the time of the prophet Elisha, and none of them was cleansed, but only Naaman the Syrian.” And if you know that story Naaman was no Jew, meaning just because you call the tune as one of God’s chosen people doesn’t mean that God is obliged to dance for your amusement or to satisfy your curiosity. 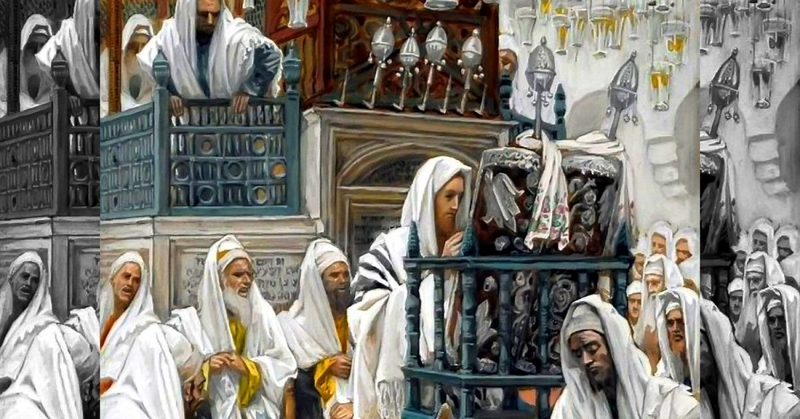 They of course don’t like what this implied and as St. Luke put it “when they heard these things, all in the synagogue were filled with wrath. 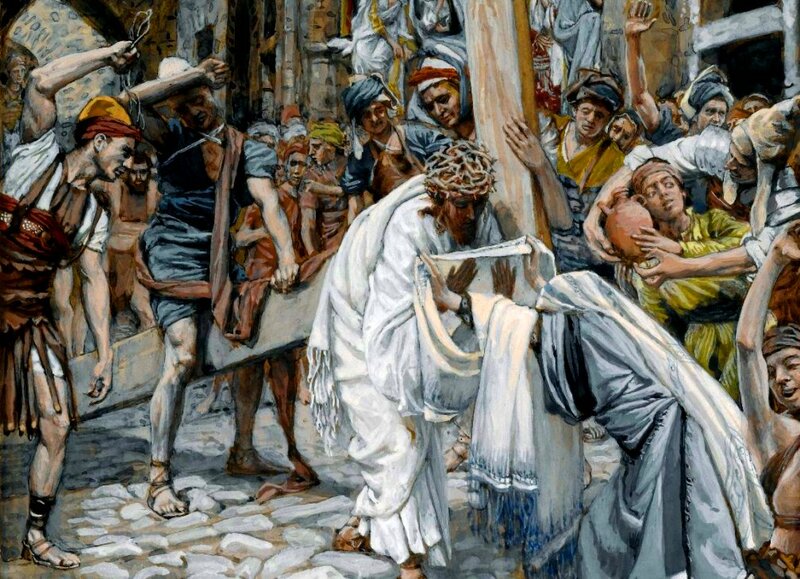 And they rose up and drove [Jesus] out of the town and brought Him to the brow of the hill on which their town was built, so that they could throw Him down the cliff.” Rejection. The people of Nazareth certainly fit the bill as prophesied in Isaiah chapter 53, but should they have? We know that after His family returned from Egypt to their home town Jesus had grown up before their eyes just as He had grown up before God His heavenly Father’s eyes and where God (Jesus’ heavenly Father) knew the truth, and where Mary had the testimony of angles and where Joseph must be dead for Joseph is not mentioned in any account about this incident, those people of Nazareth who had been there the whole time as Jesus grew up would likewise have watched Him grow yet somehow did not know what they were witnessing. In fact we now that they were witnesses to the character of Jesus because earlier in the gospel of St. Luke we hear how when the holy family had “returned into Galilee, to their own town of Nazareth. [How] the child [Jesus] grew and became strong, filled with wisdom. And [how] the favour of God was upon Him.” And we even hear how it was that later after Jesus had reached the age of 12, the age when Jewish children of the time entered into adulthood, in the years following His three days in the Temple in Jerusalem when His parents were looking for Him after the Feast of Passover, Jesus having been examined by the teachers in the Temple was said to have again “increased in wisdom and in stature and in favour with God and man.” So while Jesus may have been nothing to look at in adulthood, and while He appeared to be one of no noble birth, He was no town screw up, He wasn’t some ne'er-do-well or troublemaker, Jesus was perfectly well respected until He said what He said, “Today this Scripture has been fulfilled in your hearing.” When they heard God’s word read and when God Himself, Jesus the second person of the Holy Trinity stood right before them, when The very revealed Arm of the LORD, opens His mouth and says, “Today this Scripture has been fulfilled in your hearing,” they did not respond by saying “Amen, Amen” as the ones in the Book of Nehemiah had said after having the long lost Book of the Law read to them, God’s Word. The children of God in our Old Testament reading accepted God’s Word, where in Nazareth in our Gospel reading the children of God with the very Word of God made flesh standing before them they rejected God’s Word, they rejected Jesus: they rejected God. That day was not the day that Jesus would die, some three years later That Day would come, and like I said that hill in Nazareth was not Jesus’ hill to die on, there was another hill appointed for that, Golgotha the place of the skull, the Roman public execution grounds just outside of the walls of Jerusalem: On That Day, on the Day we now call Good Friday, Jesus suffered the most extreme of rejections, on That Day Jesus didn’t simply - or miraculously - pass through their midst, and go away; no on That Day this faultless, sinless Jesus “emptied Himself,” He had first done so in His birth “by taking the form of a servant, being born in the likeness of men. And being found in human form, [and then this same Jesus on that Day we now call Good Friday] humbled Himself by becoming obedient to the point of death, even death on a cross.” And while Jesus emptied Himself in His incarnation, in His Cross and Passion we know from Isaiah 53 that this rejected Jesus, the one rejected by the scribes and the Elders of the people, the chief priests and the Pharisees, the Sadducees and by vote in the Sanhedrin - the Jewish council – this same Jesus rejected and nailed to the cross is the very one of whom Isaiah prophesied of saying, “Surely He has borne our griefs and carried our sorrows; yet we esteemed Him stricken, smitten by God, and afflicted. But He was pierced for our transgressions; He was crushed for our iniquities; upon Him was the chastisement that brought us peace, and with His wounds we are healed.” Jesus emptied Himself but didn’t stay empty, He took all our rejection, all our griefs, all our sins, which is also a rejection; He took it all upon Himself, as St. Paul says in 2 Corinthians “For our sake [at the cross God] made [Jesus] to be sin who knew no sin, so that in Him we might become the righteousness of God.” Jesus took on all the rejections of the whole world so that you would be received and accepted by God. 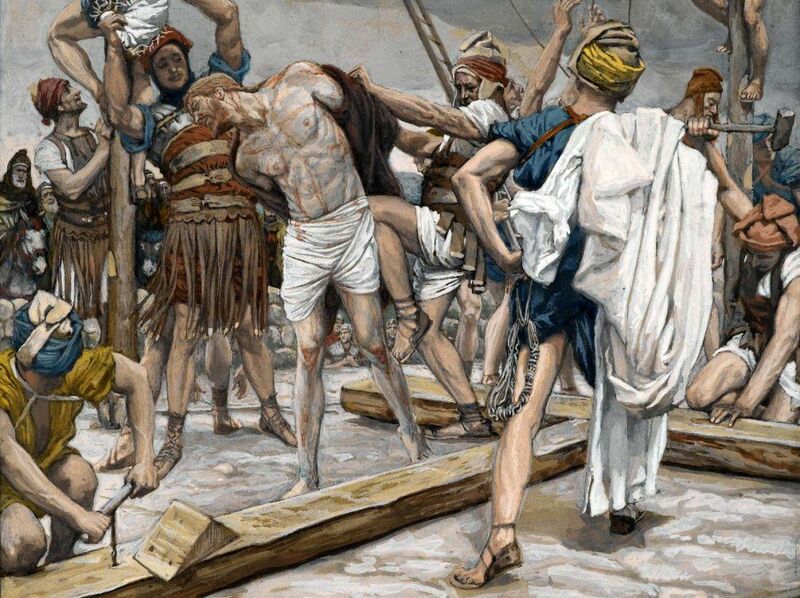 This is the forgiveness that Jesus wins for you at the cross do not reject the gift Christ Jesus provides. You cannot justify yourself or your actions. This is how Jesus justifies you, he does it with His blood and undeserved death. Take hold of it, just as you take hold of Jesus. Lay down your sin and cling to Jesus, Jesus is already clinging to you. 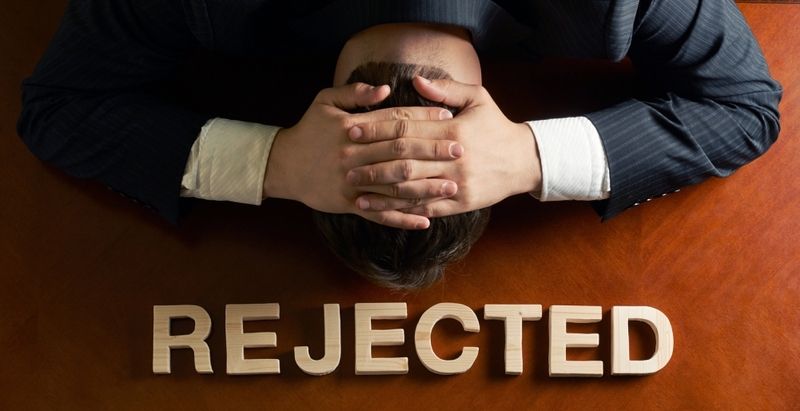 Does the resurrected, risen and ascended Lord Jesus still experience rejection? Surely not! Of course He does. Like I said sin is a rejection of God to the harm of self and neighbour. And there are those who would desire to steal Jesus away from you, just as the people that day from His home town of Nazareth had tried to do, people who would like to see you turn from Jesus and reject Him as they themselves have, as they actively do. 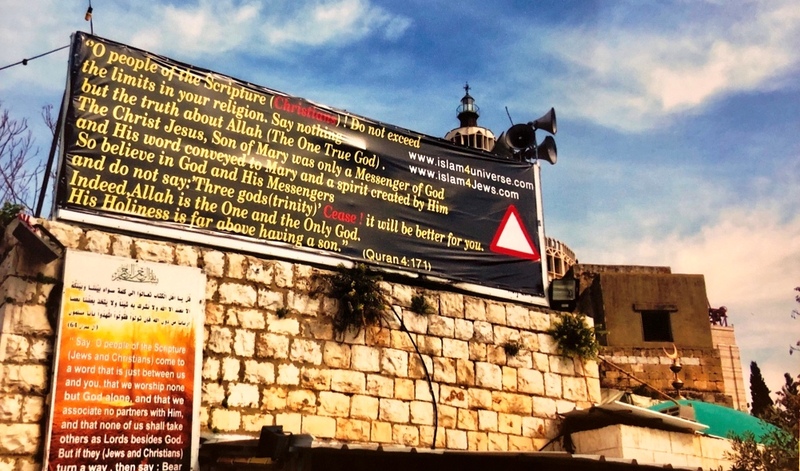 On my first trip to Israel with CLWR when we were in Nazareth there was a billboard there which read “o people of the Scripture (Christians)! Do not exceed the limits in your religion, say nothing but the truth about Allah (The One True God).” The bill board went on to say, “The Christ Jesus, Son of Mary was only a Messenger of God,” it continued on to quote the Quran saying, “Allah is the One and only God, His Holiness is far above having a son.” Whether it is a modern day Muslim billboard in Jesus’ hometown, or an Atheist who writes a book or makes a YouTube video attempting to convince you that Jesus is not who Scripture reveals Him to be, or whether it is the conveniences and temptations of the World that draw you away from attending Church to hear God’s Word and receive Christ Jesus in His blessed Sacraments, all of these things are a continued enticement toward rejecting Jesus. Yes every day there are people who reject Jesus in their hearts yet Jesus has not rejected you in His heart. For the faithful Jesus warns in the Gospel of Luke chapter 21, there may come a day when you may find your hill to die on, a day when, “You will be delivered up even by parents and brothers and relatives and friends, and some of you they will put to death. You will be hated by all for My name's sake [Jesus says] But [with a promise of the resurrection and eternal life Jesus also says] not a hair of your head will perish. By your endurance you will gain your lives.” There’s nothing like rejection to make you do an inventory of yourself – when you in innocence meet rejection unfairly remember that Jesus knows what rejection is like, and when you meet rejection for the name of Jesus He knows what that is like too, He has suffered the pain of it even unto death, He is with you in your times of rejection. If you are experiencing loneliness remember Jesus knows rejection. Whether you are suffering rejection or not remember your baptism; remember Jesus: Ask for forgiveness for every time you rejected Him and He will forgive you, He will not reject your plea for mercy and forgiveness. Amen. The Fifth Commandment You shall not murder. What does this mean? We should fear and love God so that we do not hurt or harm our neighbour in his body, but help and support him in every physical need.